I am so excited for the warmer weather that is coming this weekend! It’s supposed to get up to 67! The snow has melted off of the grill, and we are going to grill for the first time. I couldn’t help thinking about sides to our meal as I was planning the meats and veggies that we were going to grill. My mind went instantly to chip dips. I remembered seeing a variation of this queso in a magazine a couple of weeks ago. I remembered some of the ingredients and threw in some others to finish it off. 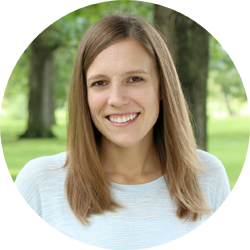 While chip dip isn’t the healthiest snack there is, there are a few ways that you can lighten it up just a little. Your body will thank you for it, and your taste buds will never know the difference! Instead of sour cream, I used 0% plain Greek yogurt. I also used non-fat milk and reduced-fat cheeses. These small changes make a big difference in the overall amount of fat in the queso while keeping the dip rich and creamy. The cilantro gives the queso a fresh taste that makes you think of summer and gardens (or maybe that’s just me!). Next time I may add some chopped tomato to give it more of that fresh taste. It isn’t overly spicy, so feel free to up the spice to your liking! In a small bowl, combine shredded cheese and flour. In a sauce pan, drizzle olive oil or spray with a misto. Add onion, jalapeno, and red pepper. Cook on medium-high for about 5 minutes or until soft. Stir in cheese cilantro, yogurt, and milk. Turn heat to low and cook until cheese is melted. Stir occasionally to prevent scorching. Pour queso into an oven safe dish. Bake for 5-10 minutes or until queso starts to bubble. Sprinkle with more cilantro right before serving. This recipe is adapted from Every Day with Rachel Ray, March 2013, p. 19 and is linked with Strut Your Stuff Saturday, Time to Sparkle, Weekend Potluck, What’s Cookin’ Wednesday and What’s in Your Kitchen Wednesday. Jessica, this dip looks so devine! I love how you used the unexpected ingredient…greek yogurt! A must try! This dip looks amazing!! I want to make it tonight. Wait I want to make it now! Queso anything is just fine by me! Love love love cilantro! I bet cilantro makes that taste so yummy! I like how you have greek yogurt in it too. Sounds like I need to try this! OMG, is it wrong that I wish I had this dip for breakfast! YUM! Oh how I adore cilantro! I’m actually growing tons of right now, so I think I know what I can do with some of it! 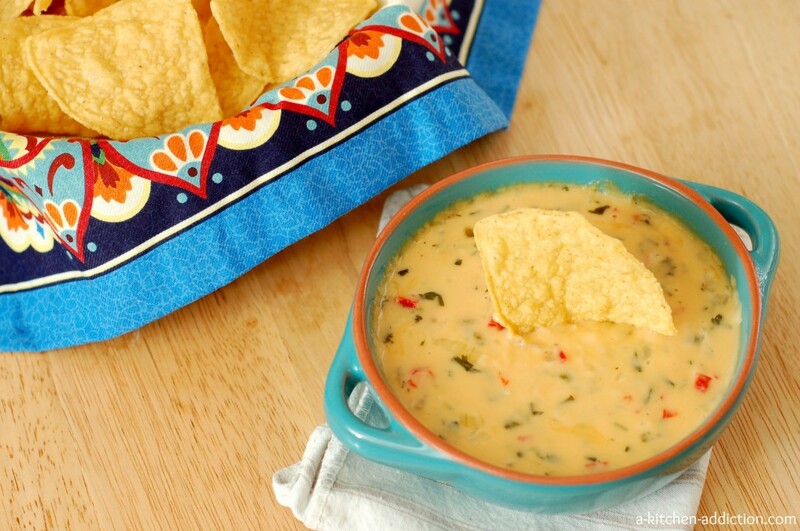 i love the idea of a fresher queso dip! delish!! Oh this looks absolutely fabulous!!! 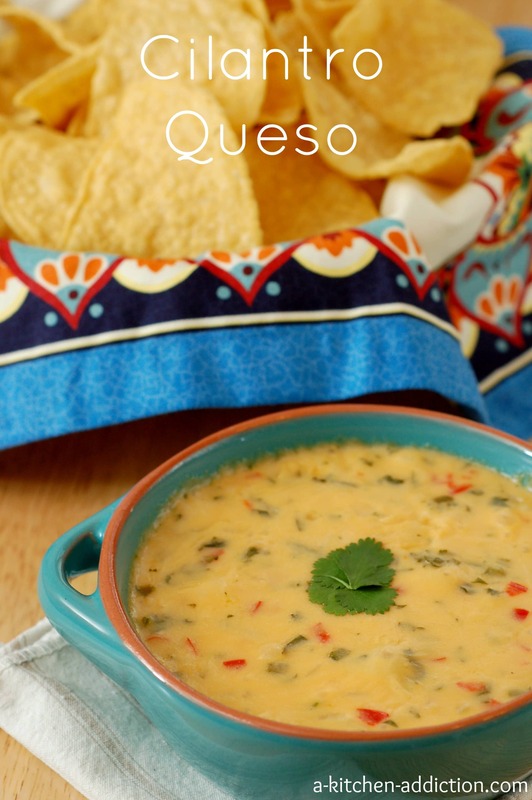 I love cilantro AND queso – this looks perfect!! Oh my! 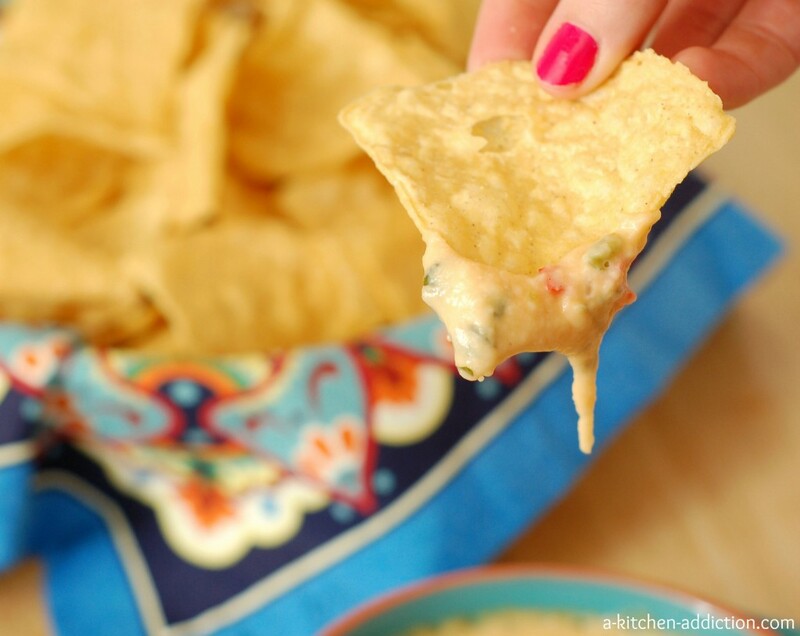 This looks like such a great “skinny” queso dip. Definitely a keeper. Funny how a little warmer weather makes of feel like celebrating!! Love queso, I could eat the whole bowl! Dude, totally love this. I could eat queso every single day! I am a sucker for queso. This looks so good I could lick the bowl clean! You are speaking my language with this delicious recipe. It looks scrumptious! Heck yes, warm weather! I love LOVE chips and cheese dip, and on top of that, I love cilantro! Adding Greek yogurt is totally genius as well. YUM! It’s supposed to get warmer in the next few days here too, and I cannot wait to grill!! I even made burger rolls today in anticipation of it all 🙂 Love that you lightened up this queso, it sounds awesome! Hellooooo springtime! This recipe is perfect to welcome the warmer weather! Delish! CHEESE!!! Ahhh! I love queso mmmm. And I think I like it even more that you lightened it up! yum! Eek eek eeeeeek. I LOVE queso. And what do I love even more than queso? Cilantro. And what do I love even more than queso and cilantro? A queso that is lightened up with cilantro in it, of course! I could probably drink this and I’m not ashamed to admit that! Ok, first of all, cilantro is my one true love, but then you go and smother it in cheese? Yessssss. I need this in my life. Oh wow, this looks so good! Love chips and dip AND cilantro! I keep seeing Queso dip everywhere and I now its all I can think about. I really need to make it stat! Your version of queso sounds so good!! I love the extra freshness from the cilantro – and that you used Greek yogurt! *drools* My big pregnancy craving the past few weeks has been melted cheese. I’ve mainly been sticking to pizza to satisfy my craving, but this looks so much better!! I will definitely be pinning this and making it soon! Yum!! btw this is a dipping sauce or soup??? I seriously need this right now…seriously.